This restaurant is permanently closed. Modern Cuban Cuisine in a comfortable setting. 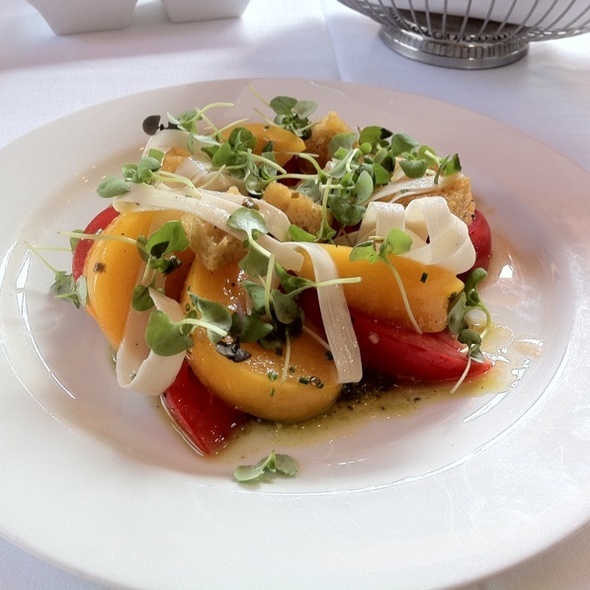 Our cuisine is fresh, innovative, flavorful and carefully prepared. Xiomara personally visits the local farmer's markets to obtain the freshest ingredients. Seating is appropriate for intimate dinners or large parties. 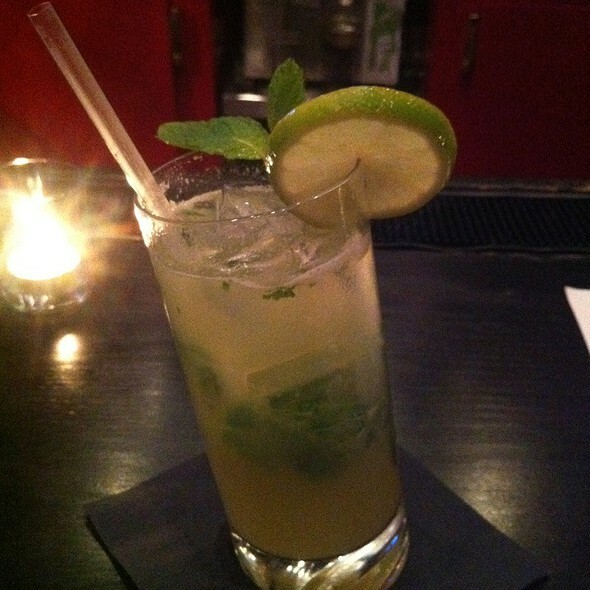 Not to be missed is our famous mojito - often ranked the best mojito in Los Angeles. This signature drink features cane juice squeezed fresh at the bar! Xiomara offers two lovely private spaces suitable for either business events or intimate social gatherings. Our Petite Salon seats twenty, while the Mezzanine can accommodate fifty guests. The rooms may be combined for larger parties. Xiomara on Melrose offers full service catering from simple delivery to full service event planning. Valet parking is available in front of the entrance. There is also limited street parking available. The Food at Xiomara is delicious, a flavor party for the month. Especially enjoyed the sweet potato croquettes, Chilean Sea Bass and Pork Hash. 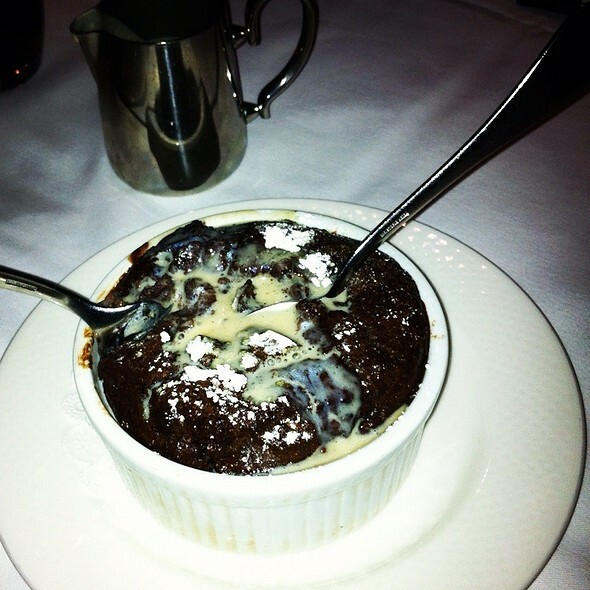 And to top it off, the Chocolate bread pudding soufflé was prepared to perfection and great to share among 2-4 people. Xiomara is a best kept secret, a neighborhood gem. This place should be packed every night! Unfortunately I have a garlic allergy and everything at Xiomara is cooked with garlic. We had a great Mojito and had to leave without having dinner. 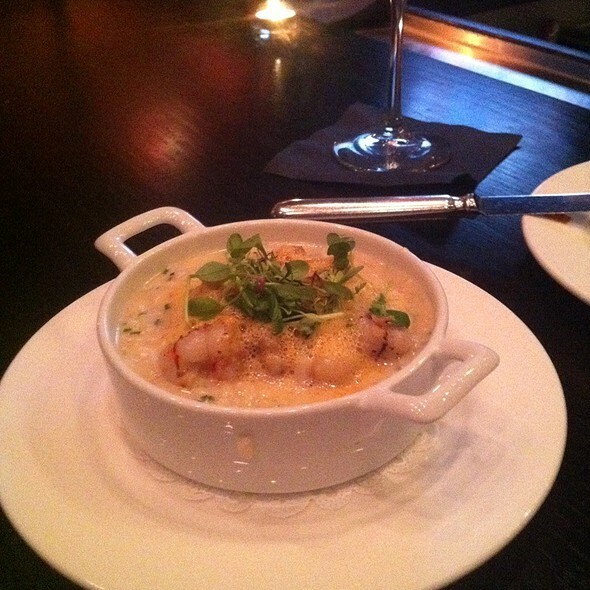 We recently moved into the Hollywood area and were very excited to dine at Xiomara. I wish chefs could be more creative and cook without garlic. Garlic kills the flavor of everything else on the plate! The drinks were great and the restaurant looks incredible. Excellent dinner. Excellent service. Lovely evening. Lovely spot! We had dinner outside. Delicious food and a wonderful experience. I tried this place for the the first time because it offered 1000 OT points. I was not disappointed! I have been back a few times since. The food here is some of the best upscale cuban food I have had in LA! It's much lighter then most other places. I don't know why it has been pretty empty the last two times I have gone. I think people just don't know about it. It is a bit on the pricer side for cuban but well worth it! Service was great too! I will definitely go back. I hope others give it a try. Food was alright... not that great, was looking for a good steak and on yelp showed this great presentation of ribeye or mignon and the only one in the menu was skirt steak and was good but not amazing. Ceviche was good but the salmon I ordered was over cooked and taste was just ok. Not impressed... my date ordered a mojito as is the specialty of the house and my he said was not good. Disappointing... should had asked the bartender to try to make the mojito again but didn’t want to be that annoying person. I was referred by a friend to try the place as I’m always trying new restaurants. When this restaurant first opened many years ago I lived down the street & frequented it often. I moved away 10 years ago & I just came back. FANTASTIC has been, & still is, this dining experience. We had a great time food & drink, plus the server really tried. Where else in L. A. Can you get a fresh squeezed cane juice Mojita? (Order it with dark rum for good taste & buzz). We definitely will come back. The service was amazing. Food was really good too. DELICIOUS soup, appetizer, salad & amazingly flavorful fish dish for dinner AND thoughtful service staff, exactly as I’ve had the pleasure of experiencing time after time coming here. And already I’m looking forward to my next meal and experience. Service was amazing. Food was tasty and the ambiance was perfect. Can’t wait to go back! The menu is so appetizing!!! AMAZING food and drinks ! Great service! We went for my husband's birthday and it was great. The food was hot and very good; so was the mango jalapeno mojito. Having never been here even though we live nearby, we decided to give it a try and can early on a Friday night. Having heard about their Mojito’s, a couple of us gave them a try. While not the best Mojito I’d ever had, it was quite tasty as was the food. I feel they could expand their menu options a bit, but overall everything was delicious. Food and service was amazing. Waiter was working alone for a little while. He did a great job making sure we were taken care of. The food was delicious! We ordered a lot because we are from out of town and wanted to try everything! Croquettes were so good. Light and flavorful. Paella was delicious! Tostones were simple and yummy! The Daquiri was delicious, as was the mojito. However, the food was just ok and didn't knock my socks off. The waitstaff was lovely. However, the seating left a lot to be desired. We were shoved up against the stairwell (I literally couldn't lift my left arm) and the traffic was both distracting and loud. I don't know that we will go back. Delightful as always! Chic setting, the best service, and fare that is as beautiful as it is delicious! Food, ambiance, service was amazing! And the mojitos are original and perfect! Will be coming back again, soon. The food is good considering it's Cuban cuisine on the west coast. Service is quite slow and the expense out-weighs the experience. Wonderful experience. Food is amazing and the bartender made the most delicious spicy margs. Wonderful staff, unique menu choices, incredible bread sticks! I love this place! It has put a creative twist on Cuban food. More sophisticated that your typical options for this type of delicious food. And more healthy Too! Great ambience and attentive service. Hidden gem on Melrose!!! Great Cuban food, friendly first class service, you can have an actual conversation and the ambiance is beyond compare. We loved this place. The ambiance was better than the pictures reflect it's low lit and has a date night romantic vibe. There is a beautiful bar and nice brick walls leading to a separate upstairs dining area - not sure what upstairs looks like but it looked cool from below! We got a few appetizers which were all good but I would particularly recommend the fried rice.. We had sweet potato croquettes that were good but not phenomenal and the pork belly which was more like a pork roast with a crispy edge. I liked the slaw that came with it more than the pork. Lastly we had the seafood paella and it was so bomb and loaded with seafood. Overall a great meal, great service and a great experience. The new chef is off to a fantastic start -- clearly passionate about his cuisine, and protective of its authenticity. That being said, he also has a great, flexible attitude and so far has been very accommodating but, importantly, with no loss of flair. Today's "not-your-usual-carrot-soup" was a surprisingly hot (as in spicy), and a fun taste adventure. The salmon, prepared with a couple of adjustments for my dietary "peculiarities", was perfection! The whole experience was exceptional. They went above and beyond to accommodate our party. The food was great the mojitos where ones of the best I've ever had the entrance and the main dish where impeccable I enjoyed the ambiance. food was delicious. Lovely setting. Good service. Too damn quiet and empty. Do some advertising, and put on some music for crying out loud. You could hear a pin drop in there! Also, a bit cold temp for the ladies. Asked them to turn the AC down twice. New chef seems to be working out great. His new dishes include the branzino, and the grilled octopus -- both of which are BRILLIANT! The Sea bass was recently introduced onto the menu by the new chef, and it's fantastic! It's the whole fish served with Romesco sauce on the bottom, and a garlic - chili - olive oil concoction drizzled on top... Absolute genius! So good!! It seems the heart breaking rumors of Xiomara's closure had been greatly exaggerated, lol. This was my first dine there since being mercifully disabused of said rumors, and I was thrilled to be back. The new chef has brought some interesting changes to the menu, but most of the old faves remain also. This visit I tried one of the new items, which was sea scallops topped with a preserved lemon preparation, and served on a bed of pureed eggplant. Different, alright; and the lemon struck me as a bit aggressive, but somehow it still felt like it hit the spot and was quite satisfying -- healthy, to boot. Service was as flawless as ever. Although the food was slow to get to my friend and me, the wait staff and cooks did a wonderful job at making up for it and celebrating my best friends birthday with a dairy free dessert after paying attention to the things she ordered. Very thoughtful! The food was delicious and everyone was so nice! Overall we had a very good visit! I love this restaurant. The setting is lovely, the food is delicious, the service is solicitous, the mojitos are to die for. You can actually have a conversation with your tablemates! I cannot praise it enough. It may be my favorite LA restaurant. We loved the food, service, ambiance, music and Chef Jesus's visit to our table. Our guest and I found the mojito delicious. The gazpacho, pan roasted chicken with saffron risotto and crispy salmon were memorable. The coconut creme brûlée sealed the meal impeccably. We hope more people come to the restaurant! Food is good, but way too overpriced. Monitors are mediocre (definitely not the best in LA). Tres leches coffee cake was pretty good tho. My husband is Cuban so I took him here for dinner for his birthday. The food isn't traditional Cuban food but a variation of great flavors with a Cuban flair. He really enjoyed it and so did I. The service was friendly and great. We enjoyed the ambiance. We will definitely be back!